What must you do when you are towing a caravan to help other vehicles overtake? 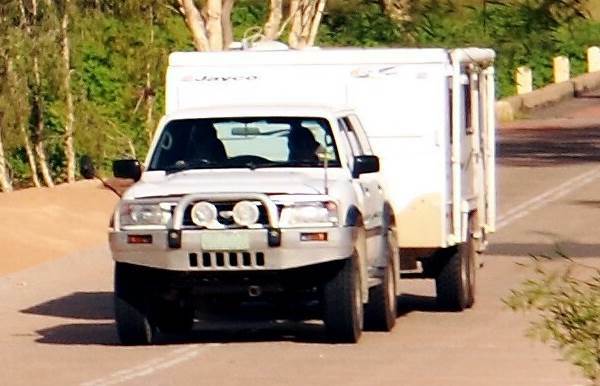 What must you do when you are towing a caravan to help other vehicles overtake? Correct. If you leave a gap of at least 60 metres, other vehicles overtaking you can pull in safely after overtaking you, gradually leap-frogging the line of slower vehicles. Note that this rule is only for roads without streetlights. When towing a caravan not only will you be driving more slowly than many other vehicles, but you form a longer and wider obstacle to pass. The extra width of the caravan makes it more difficult for following vehicles to see ahead of you and therefore they need to start their overtaking manoeuvre further back. Because the vehicle is longer it takes a longer time to get past and in that time road conditions ahead can change quickly, for example another vehicle might appear that is travelling towards you. To make it easier for an overtaking motorist to pull back into the lane, you must leave at least 60m between your vehicle and the one in front if it is a heavy vehicle or another vehicle towing a caravan. There's another reason for this: you should be using the four-second rule when towing a caravan because the extra weight will increase your stopping distances. Remember also that you must not let people ride in your caravan while you are towing it as caravans have very little crash protection. If you are travelling on a winding, narrow road, pull over frequently to let other drivers past if a queue is forming behind you. Your acceleration will be blunted when towing a caravan. This is compounded by the fact that many people choose an SUV for towing because the extra weight of an SUV means it can usually tow more. 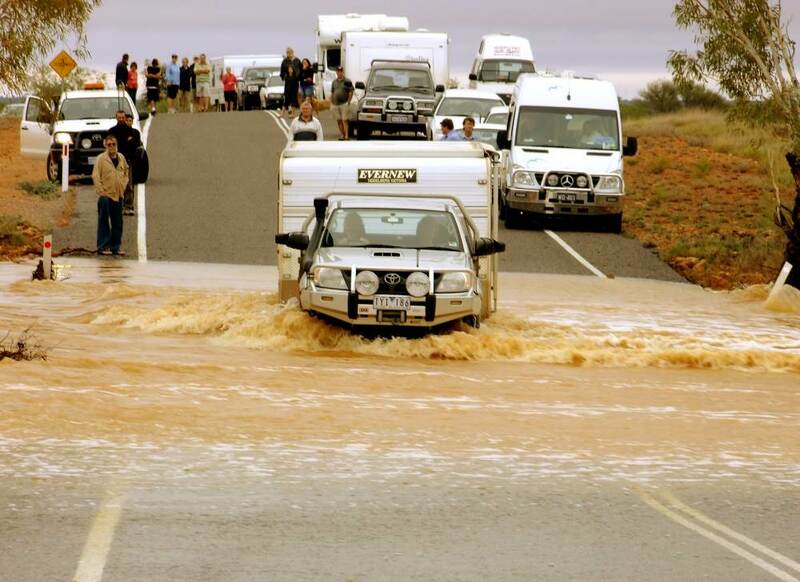 Plus, if you're going on holiday in the wilderness, you might have to deal with flooded streams like this. Check out our complete guide to towing a caravan.